The stage is mostly dark, but a light follows someone running from her pursuers, panicked. An eerie haze billows across the stage, while screens in the background show bits of a cityscape. Scripted sounds echo around the hall, drawing the audience into the play. As the pursuers close in, lights pulse and the music rises, bringing audience members to the edge of their seats. At the last moment, the woman escapes through a magic portal, represented by lights, sound and projected imagery. 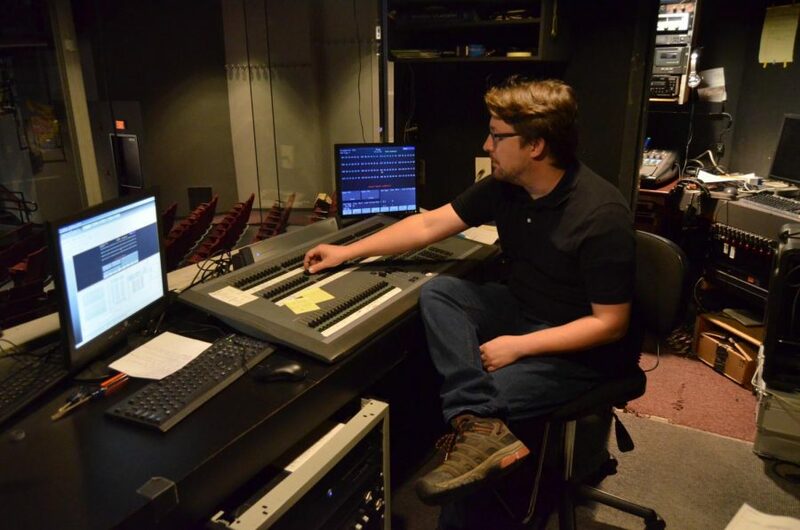 All these effects were part of AACC’s recent production of the play “Neverwhere” and represent STEM—science, technology, engineering and math—in theater. Second-year theater student and props designer for “Neverwhere” Victoria Scherini said she used geometry and algebra when designing the items, especially for the metal puppets. “My biggest struggle was with the math-y parts,” Scherini said. “I’m making a 3-D object [but] I’m not used to thinking like that,” she said. Robotics is another common STEM element to theater production, appearing in the form of hydraulics and pneumatics. Each production also uses photometrics—the science of lighting intensity and angles—to set the scene for each production. Many plays also use chemistry to literally create the atmosphere on stage using atmospheric haze or adding pyrotechnic effects. All of these elements have an underlying theme of hypothesis and revision. “As an actor or as a director [you] form your hypothesis about how you think [a scene] could work, then you get everybody together in the room … and you see if the experiment [works],” Urbantke said. “It’s that process for every moment in the play,” he said.